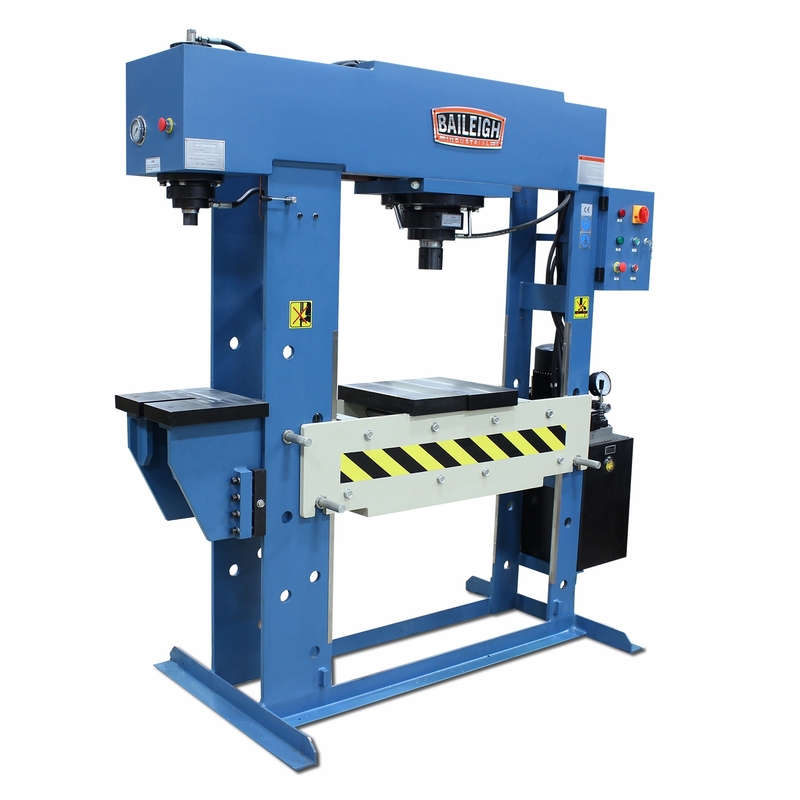 If you’ve outgrown your pneumatic press, this hydraulic press offers gives you the extra power of a5.25 hp motorand the rigid accuracy of afully-welded heavy steel plate frame. Antoher plus of the HSP-60M-C is the abilty to use a second 15 ton station with an open C-frame design. both presses come in one compact design. 60-ton capacity on main press. 7.5” cylinder moves left and right within the frame, ideal for off-center parts. Controlled by piston-style hydraulic pump. Pressure gauge comes standard on both presses. Welded steel structure withstands the machine’s full force without flexing. Baileigh covers this hydraulic workshop press with a 1-year parts warranty as well as lifetime technical support by phone.